I didn’t ask to become inane; it just happened one day while I was driving down the highway, trying to take a selfie while eating a burrito. (This was to stand in as a more interesting version of the “on my way” text.) Mercifully, the rice spilled on my dress, I realized what I was doing, and no one died on that stretch of I-64 that day. Aside from the obvious question of why anyone would photograph themselves falling down a Ziggurat, the prohibition begs further inquiry into the nature of the trend. As it turns out, the drive to take extreme selfies isn’t limited to the children of the former Soviet Union; high-risk self-portraiture has also taken root in Spain, the UK, outer space, alligator swamps, and wherever else danger can be found. 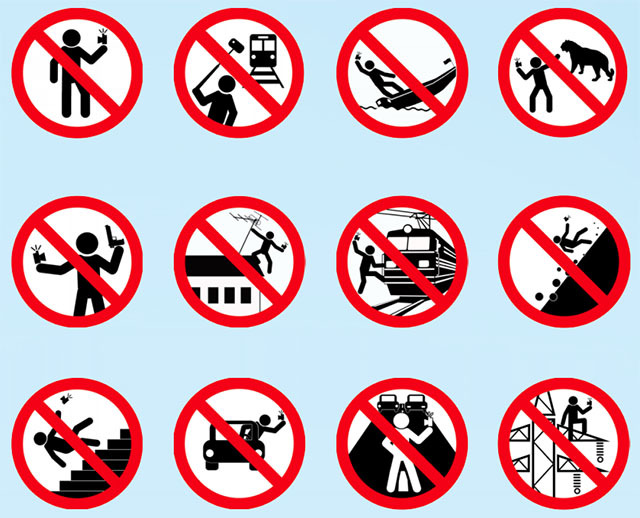 Selfie sticks and extreme selfies have more to tell us, however, than that we’re narcissistic or stupidly inclined to danger. They demonstrate a felt need to stuff more into our selfies as we curate their content to present ourselves to the world. Even where they aren’t necessarily “extreme,” we gravitate towards producing selfies that are at least interesting, because a human face is not enough. In particular, our face is not enough. While a mother may be perfectly content to take a picture of her child that’s no more than his face, and you may love a picture of your best friend or significant other in which he or she isn’t doing anything interesting, we desperately want the pictures we take and make of ourselves to be more than just us. This is nothing new in the realm of self-portraiture. Take, for instance, Frida Kahlo, the majority of whose work consisted of them. (The same one who said, “I paint myself because I am so often alone and because I am the subject I know best.” Might today’s selfie-taker say the same?) 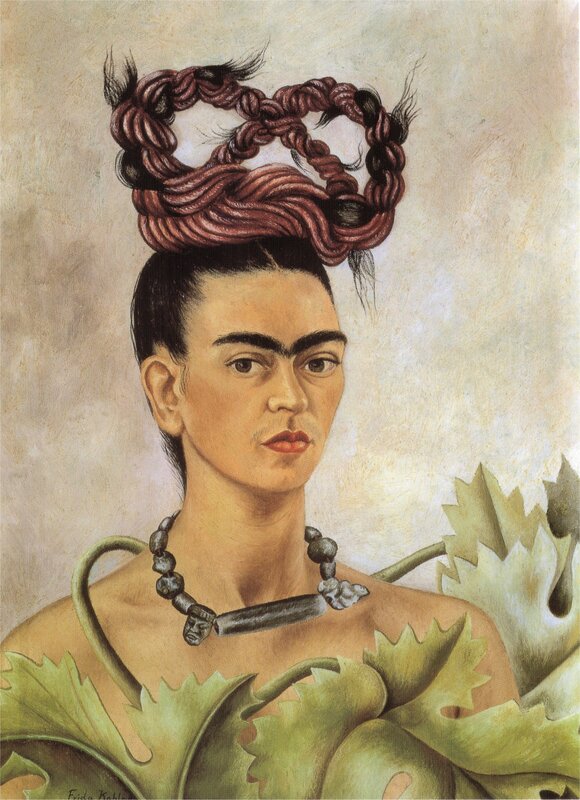 What’s notable about Frida’s Fridas is that they’re almost never just Frida. They’re Frida with monkeys on her shoulders, or Frida with birds, or Frida clothed in leaves and with antler-braids frighteningly reminiscent of scenes from True Detective season one. In other famous self-portraits, the artist is depicted with his easel or his work in the background, or else something to smoke. It’s the artist plus the artist’s cure, and this has everything to do with what art is in the first place. It seeks to do more than portray reality, which presents a unique challenge for the photographer, and an acute one for the self-photographer. The extreme selfie—and really, most any selfie—is a kind of art in which we see the taker’s pained knowledge of her need for redemption. And perhaps more interestingly, the extra content of our selfies shows us what we think will save us, and even what we need saving from. For the daredevils in Russia, the climb to vertigo-inducing heights mocks death. For those who partook in the Selfie Olympics, cleverness defies a humdrum everyday existence. For many young women, the glamor shot with the perfect filter is leverage against the selves we know without makeup. And for many of us, whether we’re Ellen DeGeneres or a dude at a dinner party, the grinning group shot challenges our inwardly-felt sadness and loneliness. For those belonging to Christ, the selfie may be fun, but it’s nothing to hold onto. Read more on and from Kristen Gunn. A very insightful essay, Kristen. “High-risk self portraiture” is my new favorite phrase. Lovin the Frida insight, and that Brunner quote gave me a lot to chew on! Thanks KGunn.